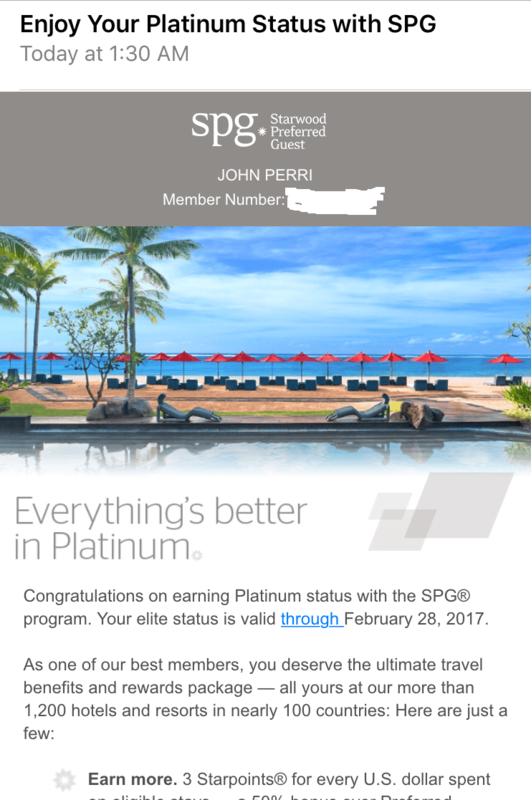 This past week I did another stay at a Starwood Hotel in order to re-qualify for Platinum Status. 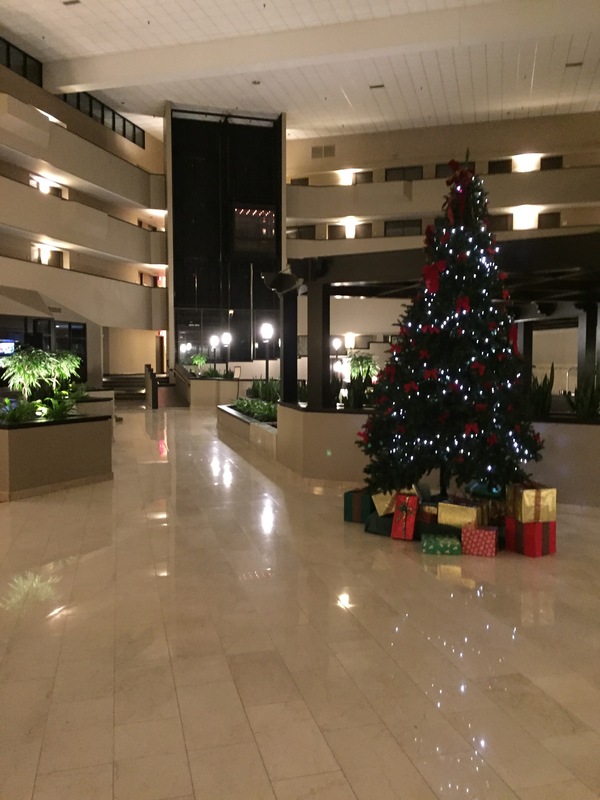 This time I selected the Sheraton Minneapolis West Hotel as it is the closest hotel to my home and there was a rate of around $89 per-night which was more appealing than some of the other SPG locations that evening. 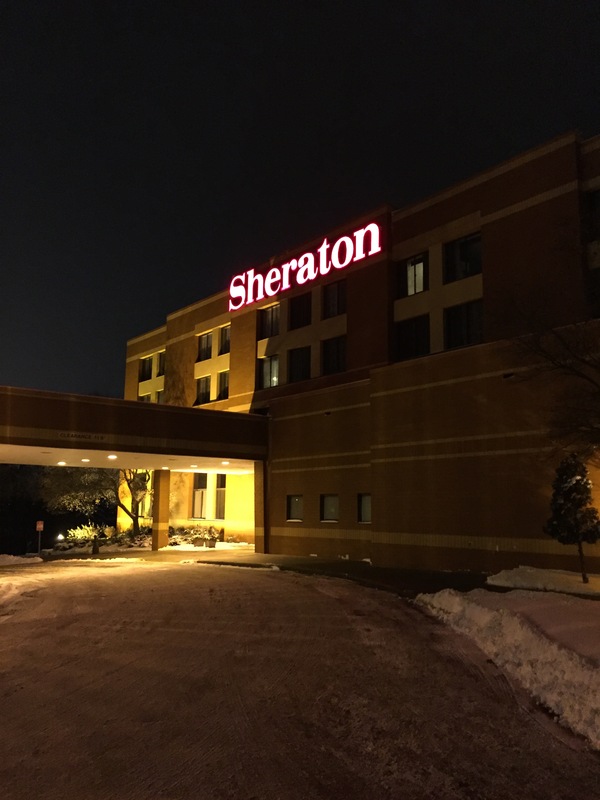 The Sheraton Minneapolis West Hotel is one of the older Sheraton Properties in Minneapolis and the age shows up on the exterior of the building. 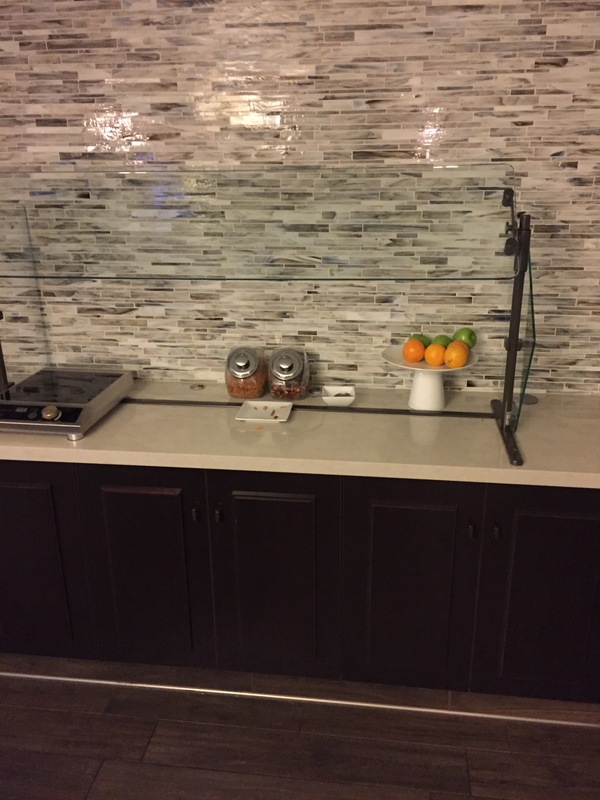 Once inside the hotel though, everything has been updated and remodeled. 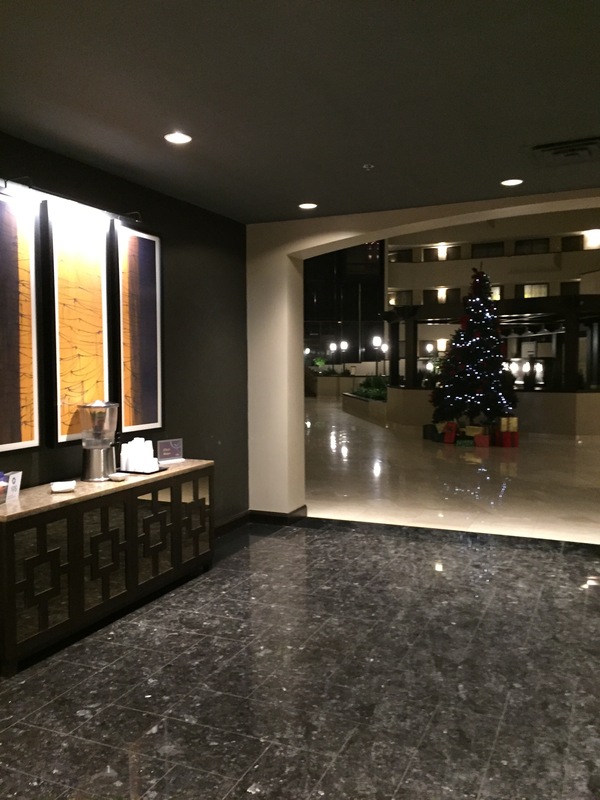 I arrived at the hotel after dark and found the lobby to be somewhat dimly lit. 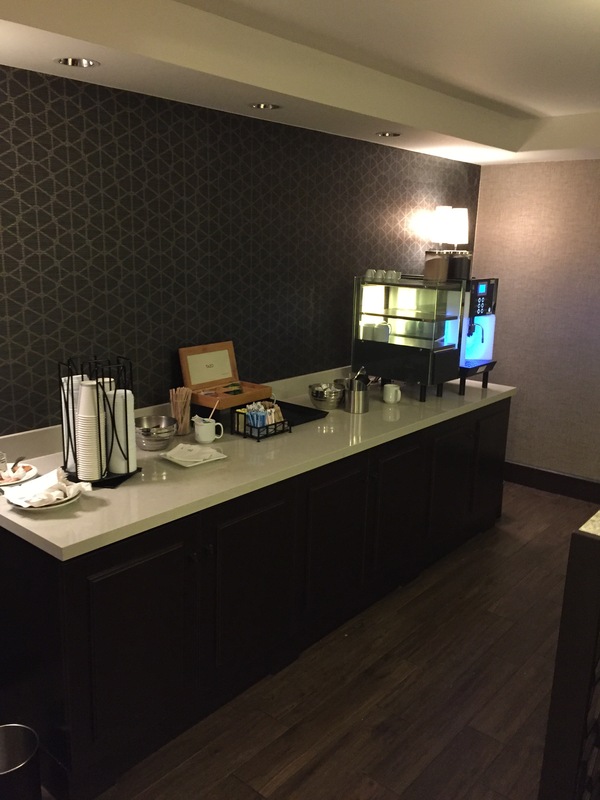 The entrance area had a walkway that led to the meeting room area as well as a station with a welcome elixer water and newspapers. 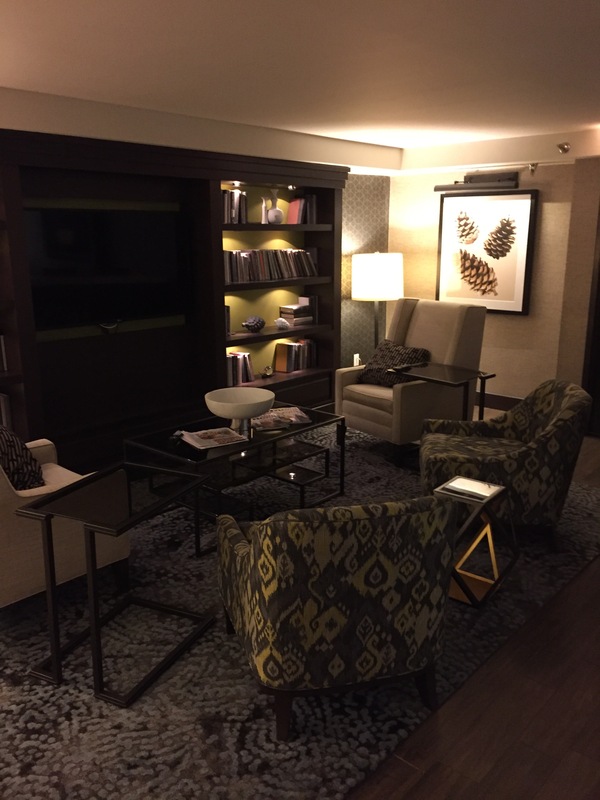 The lobby featured Sheraton Link as well as a small seating area. 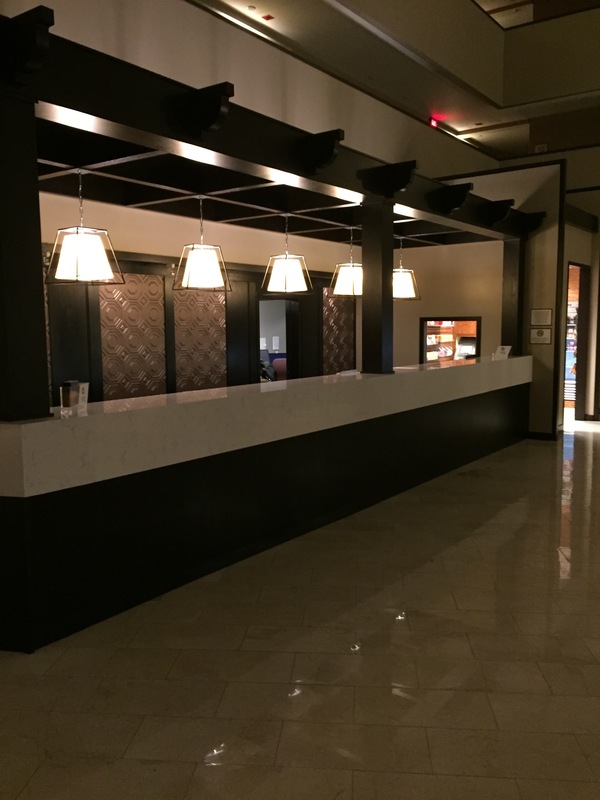 The front desk was to the left once you entered the lobby area. The desk was setup neatly and it was clean. 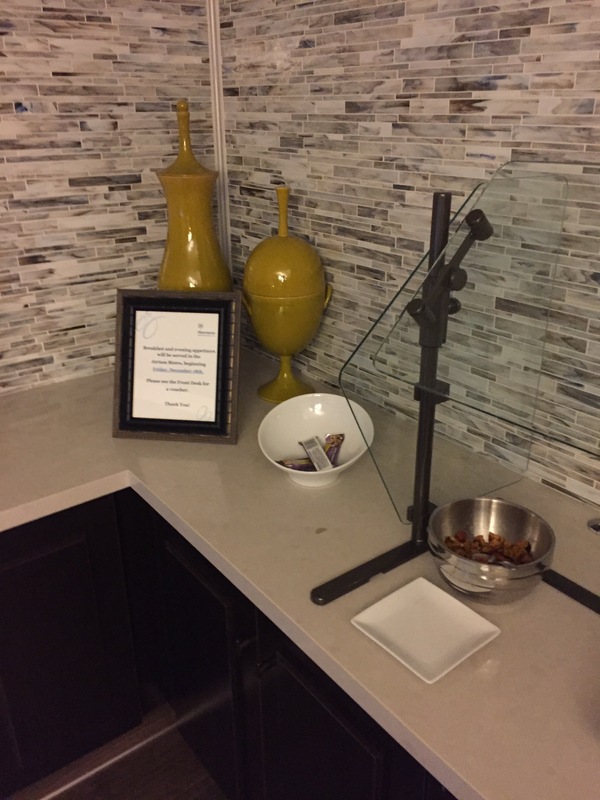 There was a small room to the side that offered food and beverages and other snack items as well as an ATM. 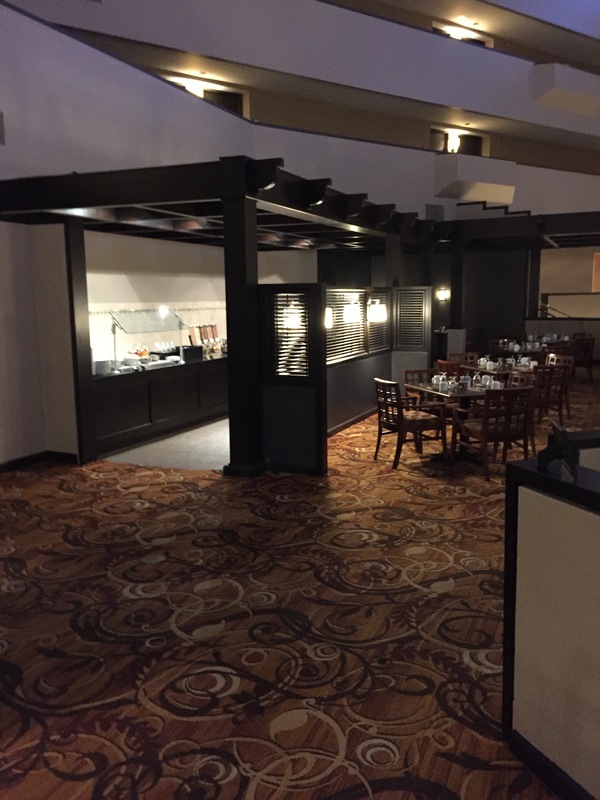 In addition, the lobby featured the hotels restaurant as well as a separate bar in a room to the side. The elevator bank was directly behind the front desk to the other end of the room. 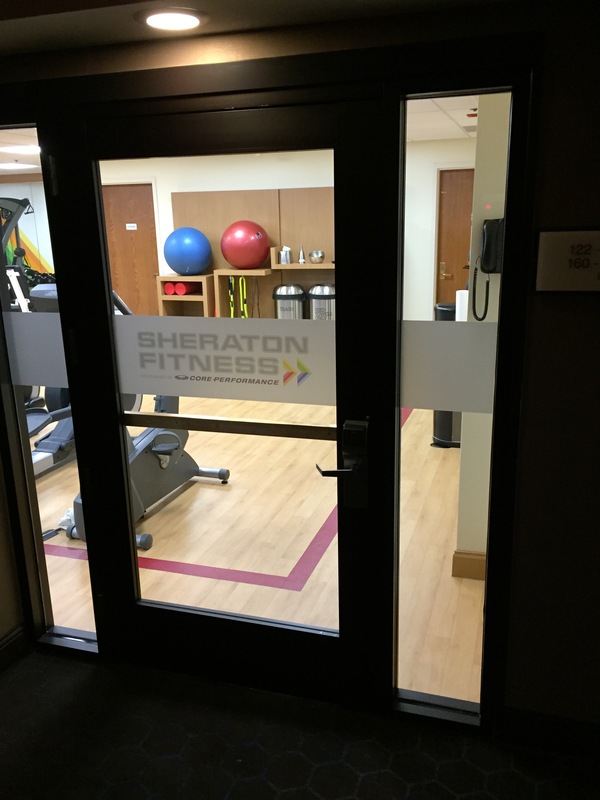 Beyond that area was a indoor pool and sports area as well as Sheraton Fitness. I approached the front desk and initially did not find any colleagues present. After waiting for about 30 seconds, a colleague exited the back office and welcomed me warmly. After the colleague offered assistance I requested to check in. The agent asked for my name and she used it. The agent said that it would be just a moment as both of the computers were not working at that time. She said she would have to reboot them. While she was rebooting the computers she made light conversation with me. After about a minute, the computer terminal was back up and she confirmed my SPG status and offered an amenity after thanking me for my loyalty. The colleague used my name and she confirmed that I was staying for one night in a kind size bed room. The colleague said she upgraded me to a club room. The colleague informed me that the club was not serving snacks that week but she said the bar had appetizers each evening until 8 PM and she provided a voucher for breakfast in the morning from the buffet in the lobby. The colleague asked how many keys I needed and I requested one. The colleague completed the registration and she presented the keys and provided directions to the elevator. The colleague thanked me using my name and wished me a pleasant stay. The check in process was complete within four minutes including the time. 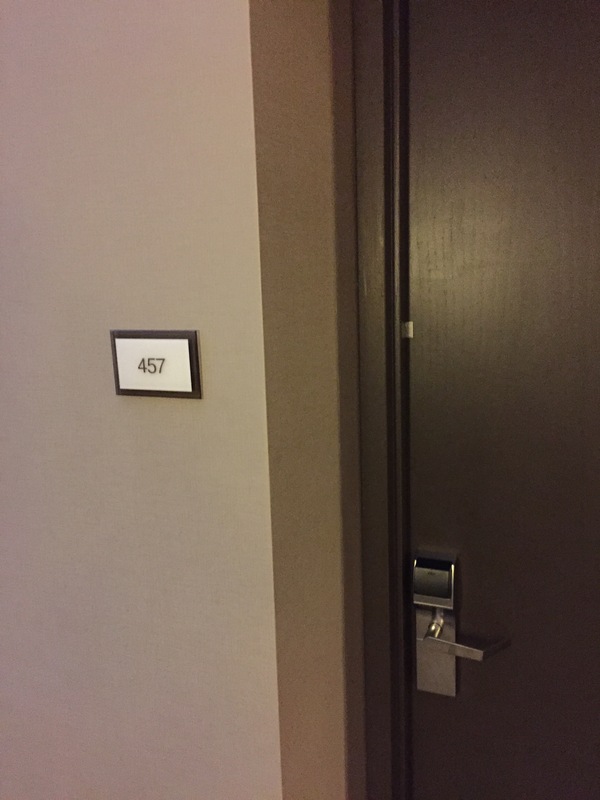 I was assigned room 537, a standard kind bed room on the club floor. 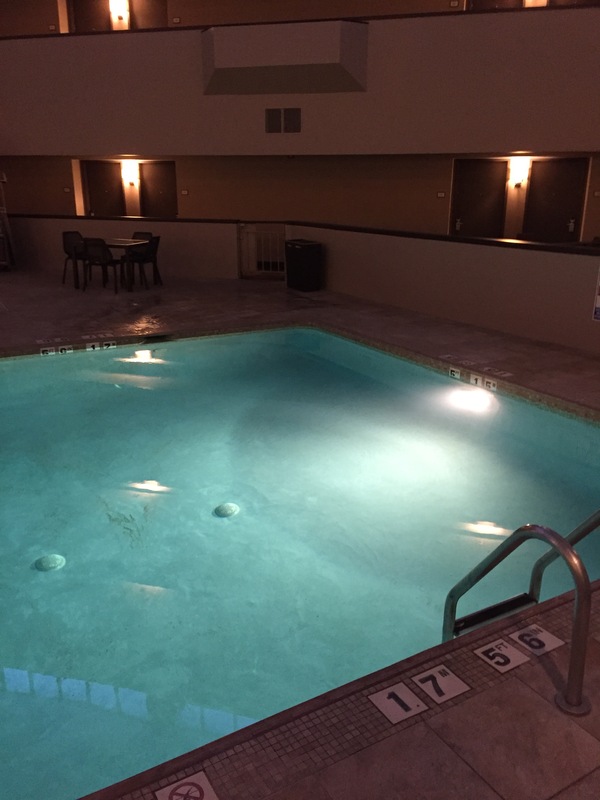 The room was located across from the elevator and near the club lounge. 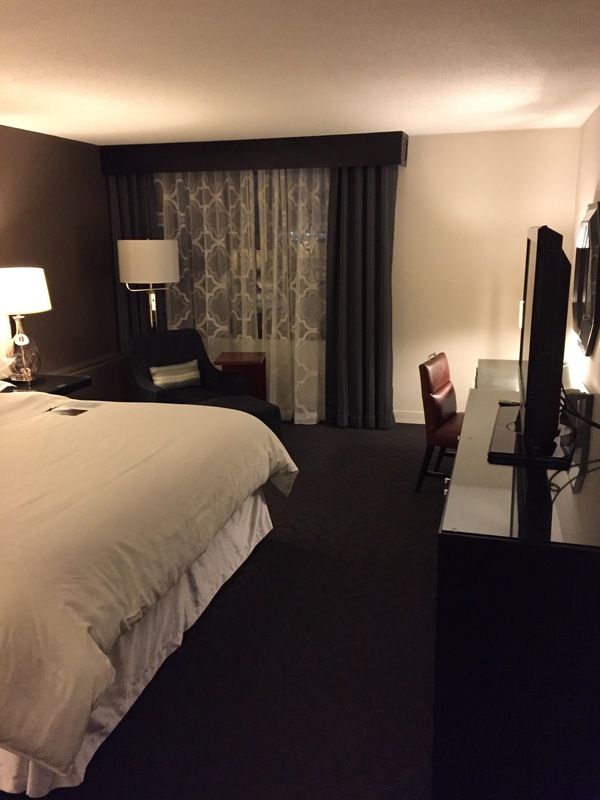 When I entered the room I found an updated room with new furniture, desk and headboard. The room was clean and it had a pleasant scent. The room featured a medium size TV on top of a dresser that contained plenty of room for storage. The room featured a desk with a comfortable chair. There was a small chair near the window with a foot rest. 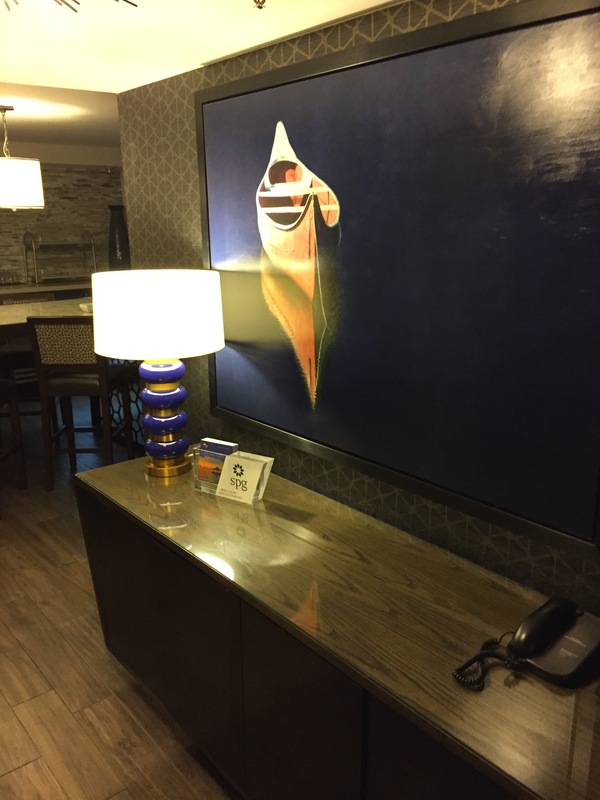 The bedside tables were updated and both sides offered power ports as well as USB power options. 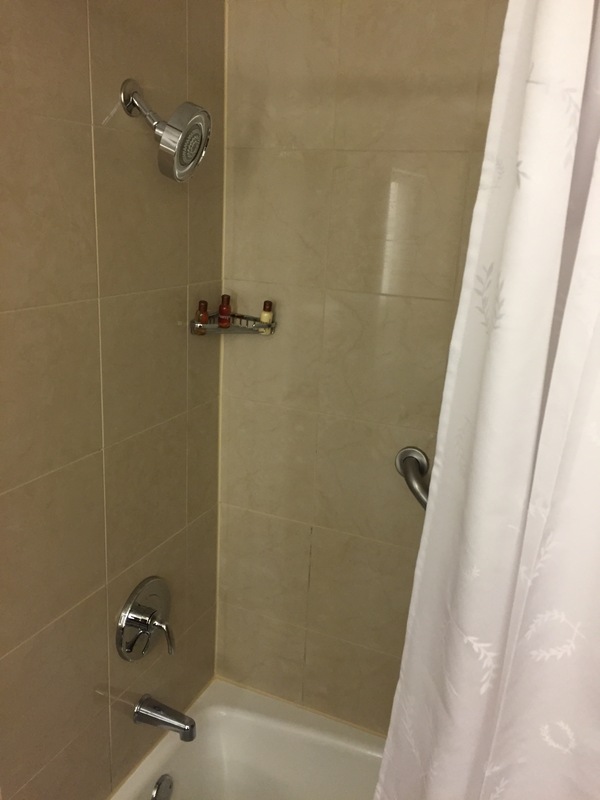 This was a great improvement over other older Sheraton properties as most lack power right near the bed. The bed was the Sheraton Sweet Sleeper Bed. The linens were clean and they were pressed neatly. The bed was soft and comfortable. 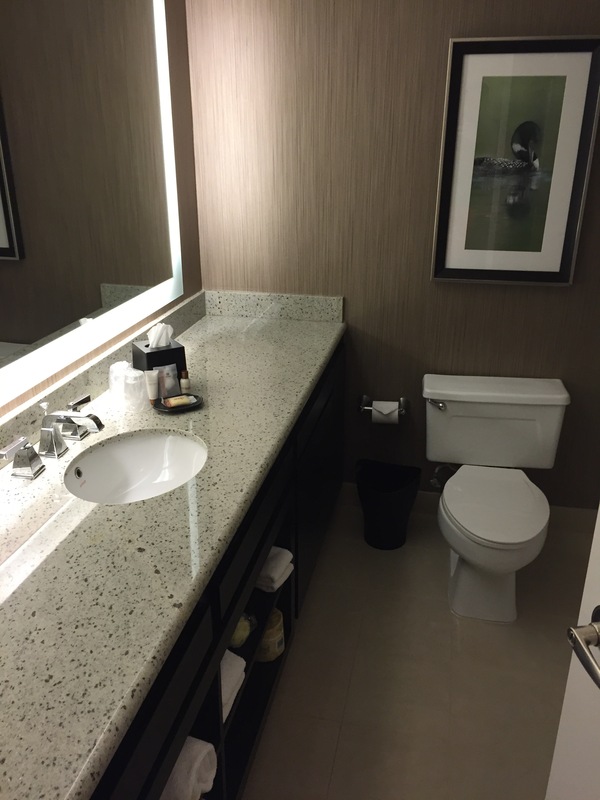 The bathroom featured a large vanity with sink and shower/bath tub combination and toilet. The bathroom was clean and in good condition. The water pressure and temperature was good and the toilet functioned. 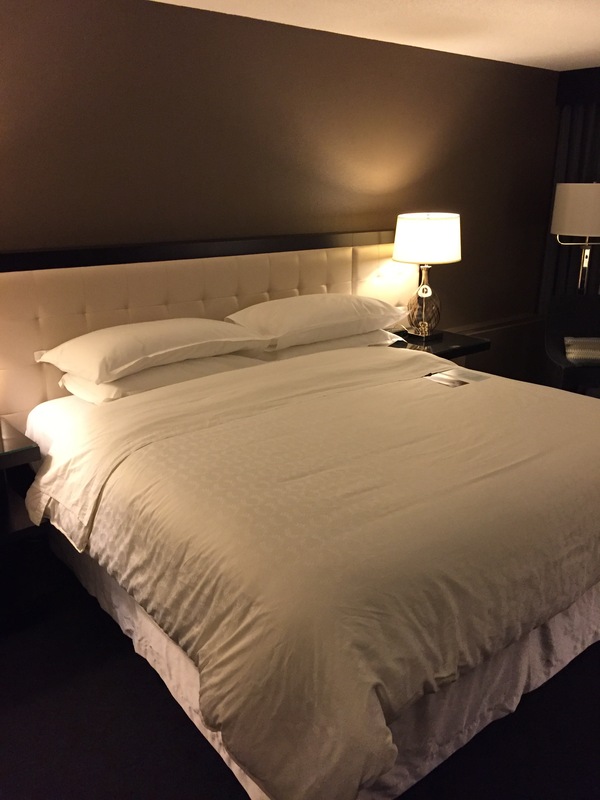 The linens were clean and soft but they were on the thin side. The bath amenities were stocked and they were in clean containers. 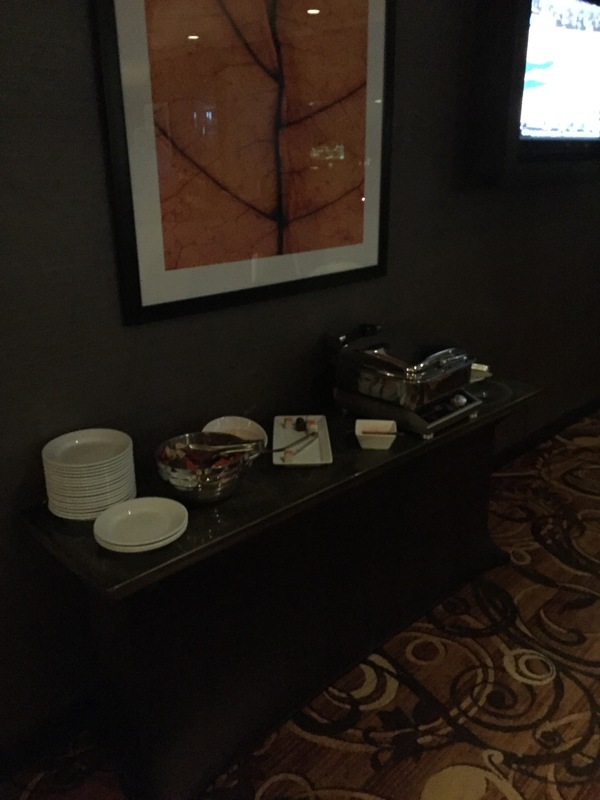 The standard Sheraton offerings were present. The room window overlooked a wooded area. The chair near the window was soft and comfortable. The heating controls adjusted the temperature in the room. All the lights functioned and the remote control for the television also was in good condition. The WiFi speed was good and I was fast once I got through the initial signup pages. 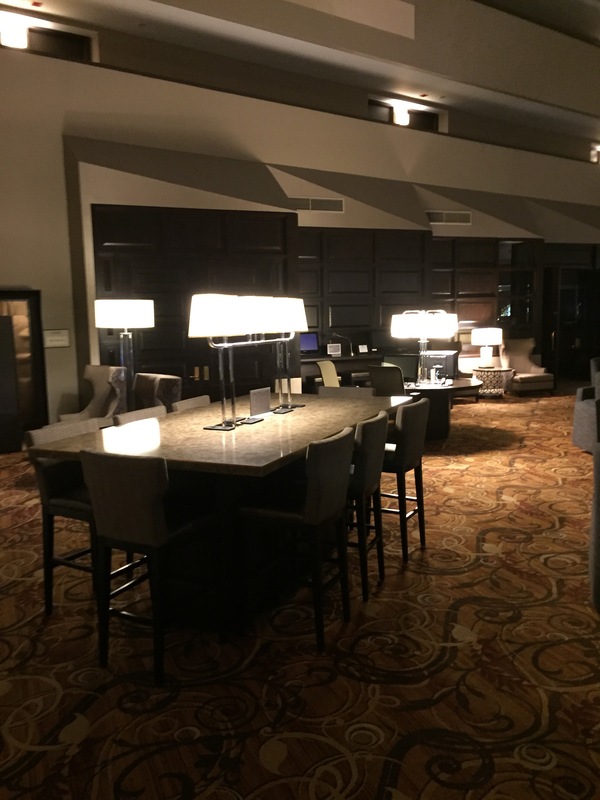 I visited the Club Lounge which was located near my room. I used my key card to access the lounge. A sign was present that evening appetizers and morning breakfast was served in the restaurant and that I should ask the front desk for vouchers. 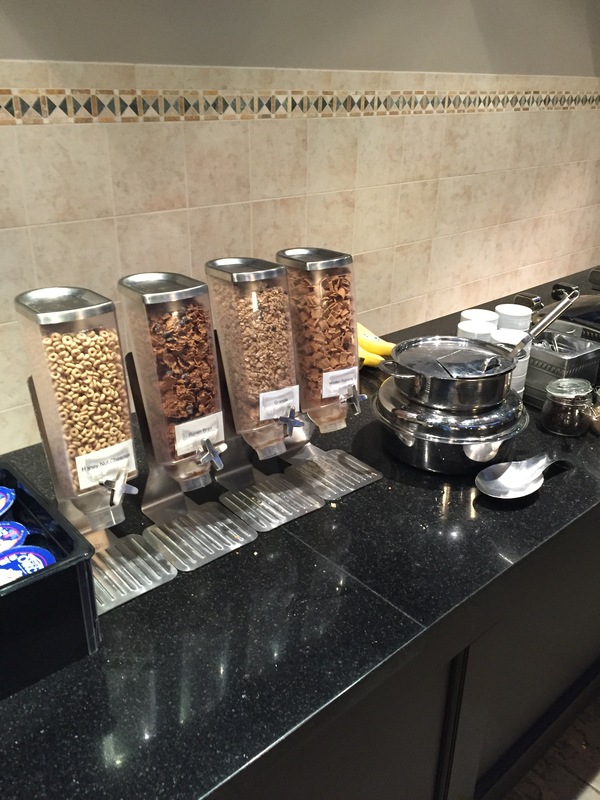 The club lounge featured some light snacks that were setup including three nut mixtures and granola bars. A refrigerator was stocked with sodas, water, juice, yogurt and milk. The refrigerator was clean and it was well stocked. A coffee station with an espresso machine that made cappuccinos, lattes and mocha’s was present. Some leftover dishes and plates were present on the counters in the room. These dishes remained throughout the night and were there in the morning as well. A medium size seating area with tables and chairs were present along with a television. I approached the lobby bar for the evening appetizers about 10 minutes before it was scheduled to close. When I arrived there were four other guests present and one colleague. As I entered the room the colleague welcomed me. 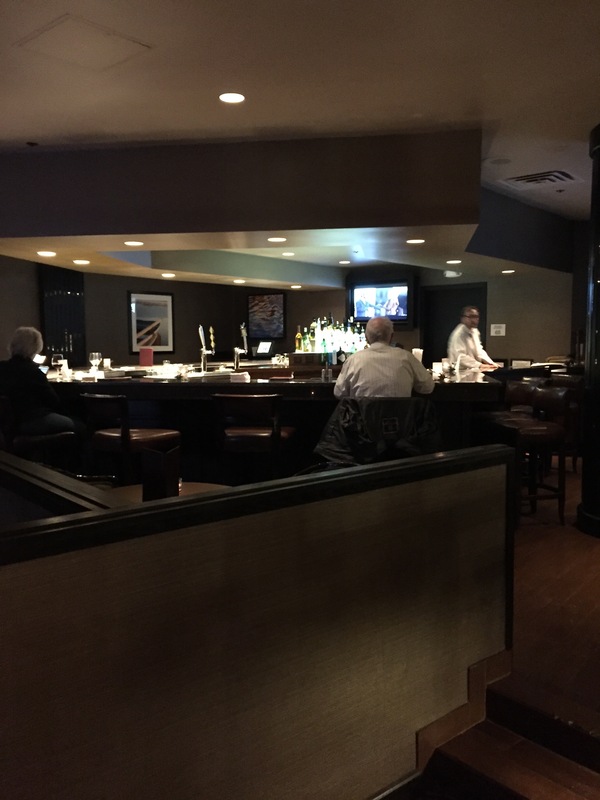 I inquired about the club lounge appetizer and he pointed out the small table at the far end of the room and he asked me to help myself. The colleague asked if I would like a drink. I requested a Coca-Cola. The colleague thanked me and he provided it and delivered it to my table. 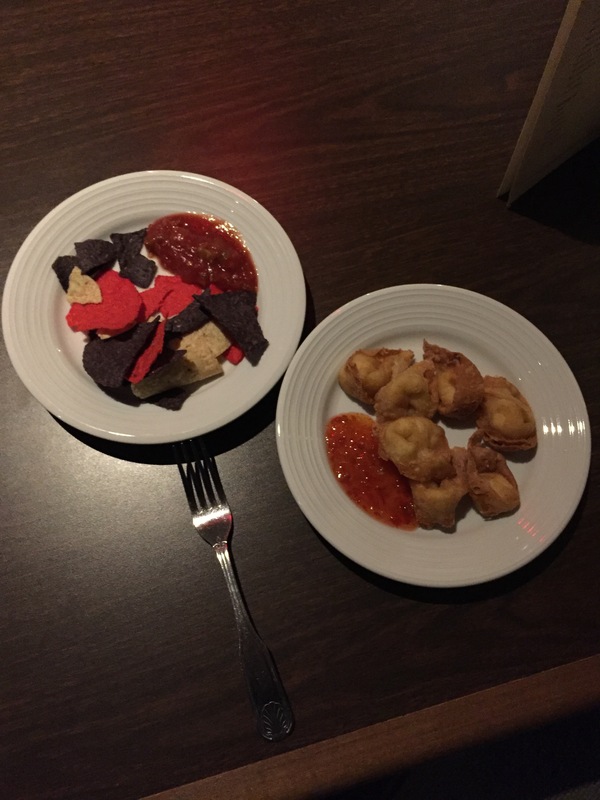 The snacks included a hot appetizer which was cream cheese wantons. The hot appetizer was served with a sweet chili sauce. There were also chips and salsa present as well as some small desserts. I selected the wantons and chips from the buffet. The wantons were served warm and they had a good golden brown crust and were crispy. The cream cheese filling had a good taste. The sauce was sweet and tangy. The chips were served at room temperature and the salsa was chilled. The chips were fresh and the salsa had a good taste. The colleague checked in with me and he offered an additional drink. After I declined he thanked me. When I was ready to depart he presented a check for the soda. 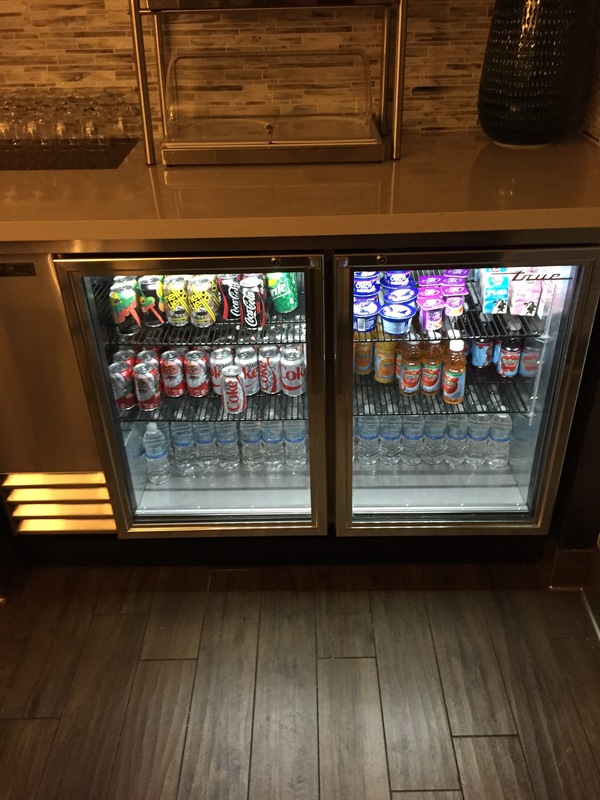 I was surprised because the Club Lounge generally has complimentary sodas. The soda was only about $3.50 so I paid cash and left a tip. The colleague thanked me and wished me a good night. 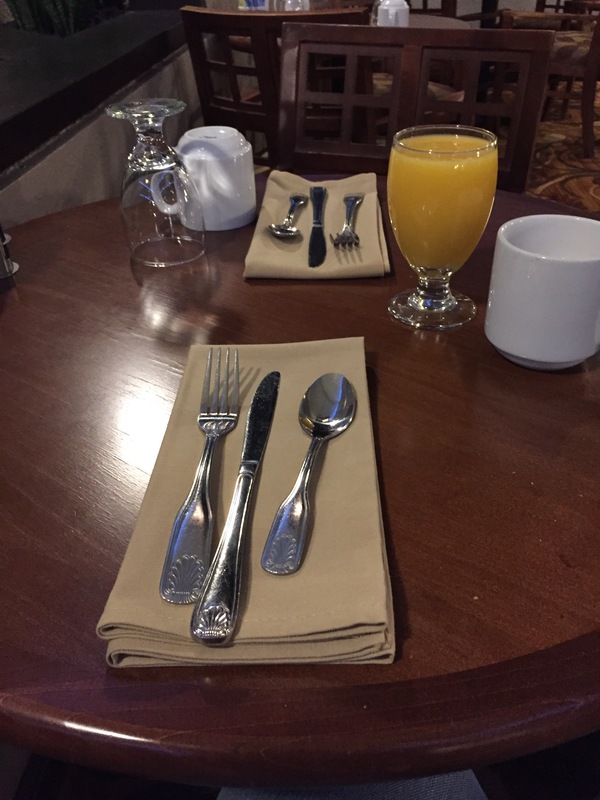 I am thinking that I was supposed to have been given a voucher at check in; however, only a breakfast one was given. Nonetheless it was a nice touch that they had some hot food available in addition to the light snacks in the club lounge. 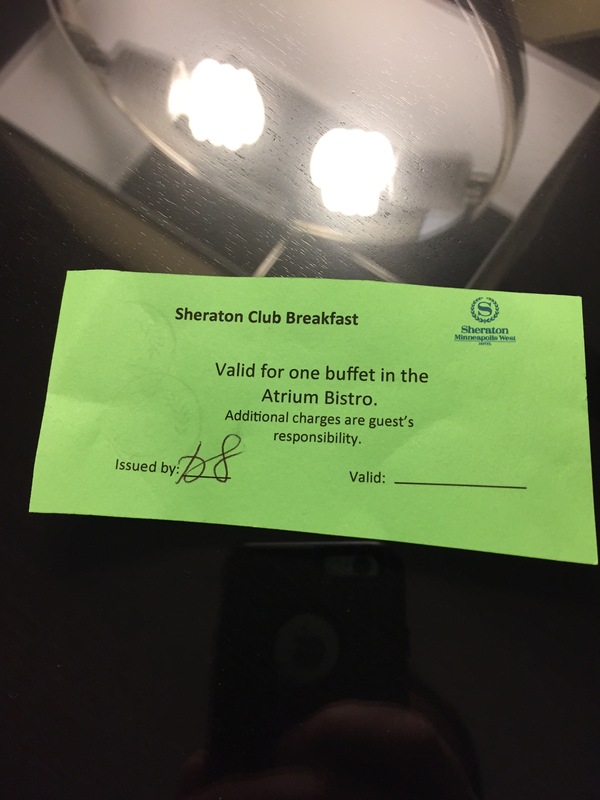 In the morning I approached the restaurant with the voucher that was given to me at check in. I was greeted by a friendly colleague at the host stand who welcomed me and confirmed that I needed a table for one. I accepted and she sat me immediately and offered coffee and juice. I requested both and she provided them promptly. The colleague asked if I had a voucher or coupon. I said that I did and she asked for it before thanking me and asking me to help myself to the buffet. The tables and chairs were all setup neatly. The tables and chairs were comfortable. The linens were clean and the flatware and glasses were in good condition. 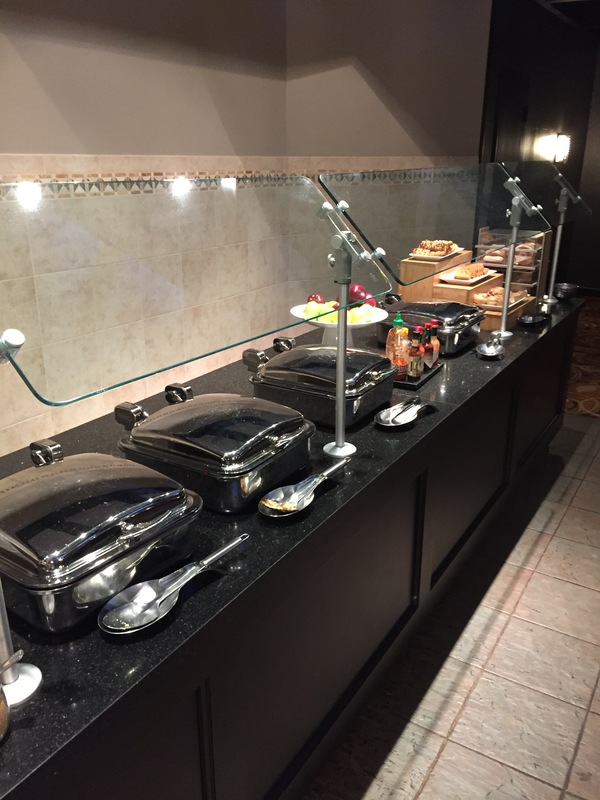 The buffet with large and it included several hot and chilled items. The hot items included eggs, bacon, sausage, hash browns, hash browns with eggs and meat, sauteed mushrooms and oatmeal. 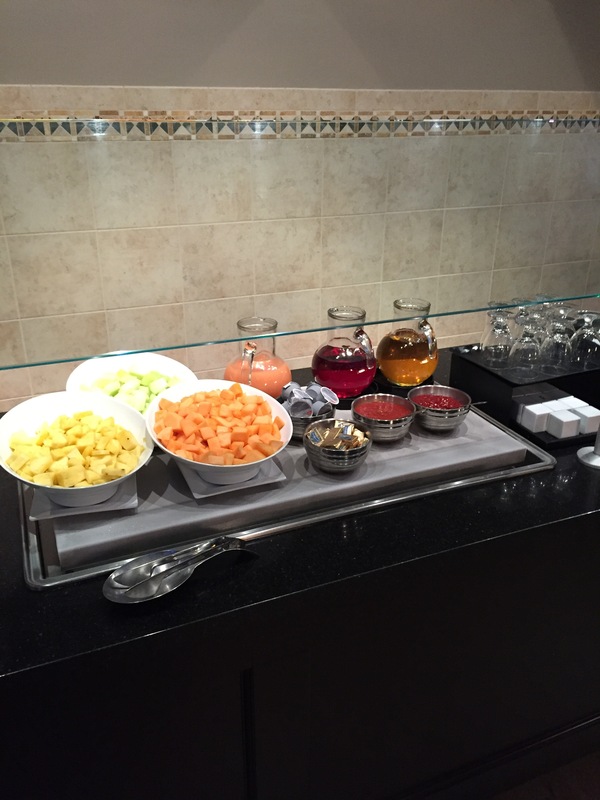 The cold items included a fruit salad, yogurt, cereal, juice and pastries were available. All of the food trays were clean and they were well stocked. None of the food items had signs on them so every tray had to be lifted to see what was inside. A variety of condiments were available and they were also stocked neatly. 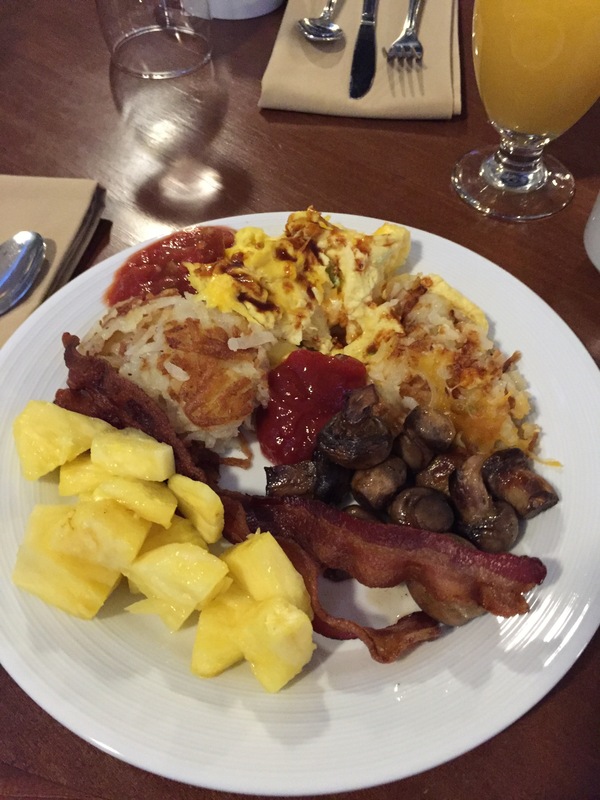 I selected eggs, bacon, hash browns, mushrooms and pineapple. The eggs were served warm and they were scrambled and cooked with a small amount of cheese. The eggs were fresh and had a good taste. The hash browns were warm and they were crispy on the top and soft on the inside. The bacon was crispy and it had a salty taste. The mushrooms were warm and they were lightly seasoned and had a good flavor. Both the bacon and the mushrooms were also served warm. The pineapple was chilled and it was sweet and had a good taste. The orange juice was sweet and it had a fresh taste. The coffee was hot and it also had a good taste. The server did not check back with me during the meal or offer a refill on the beverages. When I was ready to depart she thanked me from behind the service area. I approached the front desk to check out and found one colleague present and zero other guests were waiting. The colleague greeted me and he offered assistance. After I requested to check out, he asked for my name and then used it. The colleague inquired about my stay. I said that it was good and he thanked me. The colleague confirmed the method of payment and he asked if I wanted a paper copy or email for the folio. I requested email and he confirmed my email address. After I provided it he thanked me for staying at the hotel and invited me back in the future. 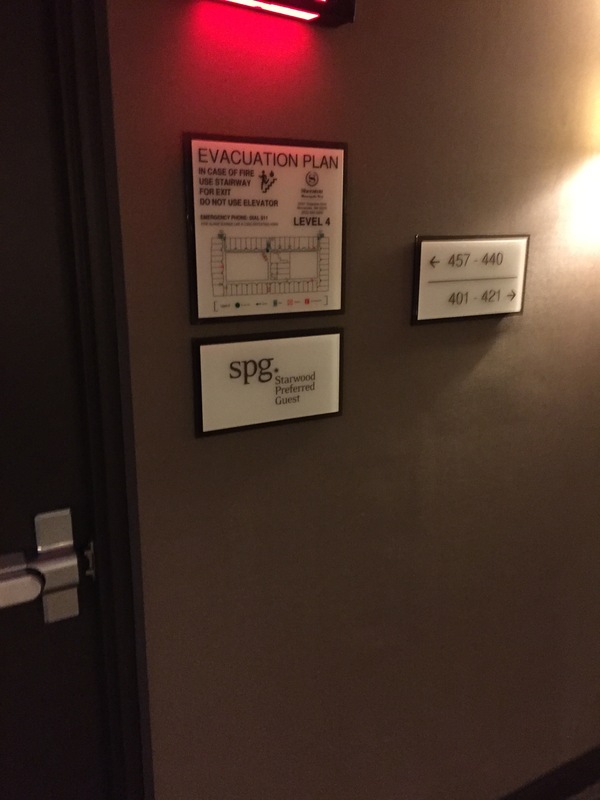 Overall it was a nice stay for my 25th SPG stay this year. 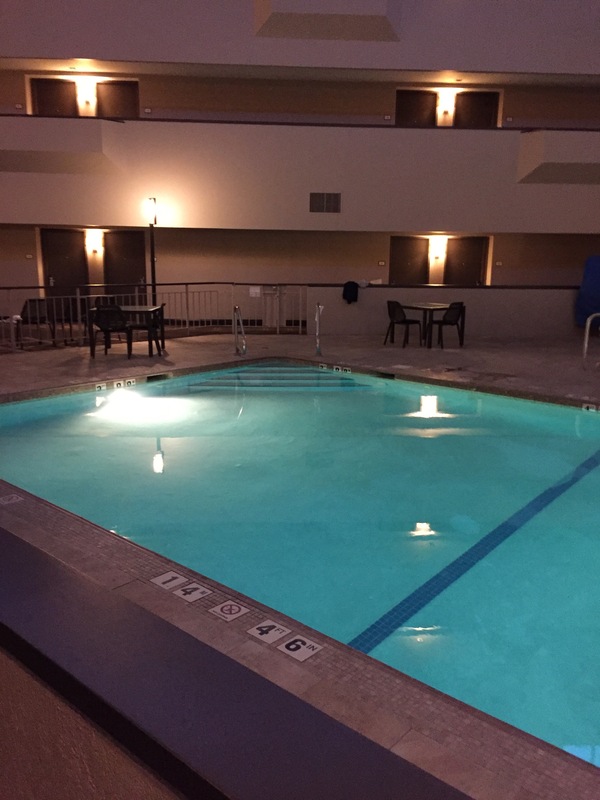 The hotel was clean and comfortable and I was able to relax. I was again surprised that I was charged for the soda at the club lounge reception in the lobby but otherwise it was a good stay.